Oleg Orlov on the Ministry of Justice's suit against the Russian Memorial Society: "This is political pressure in the guise of legal formalities"
On 13 November 2014, the Supreme Court of the Russian Federation, represented by presiding judge Nazarova, postponed the hearing in the case brought by the Ministry of Justice for the liquidation of the Russian Memorial Society until mid-December. Oleg Orlov, member of the board of Memorial Human Rights Centre, commented on the situation to HRO.org’s correspondent Vera Vasilyeva. The court's decision to postpone legal proceedings regarding the human rights activists was expected. In Oleg Orlov's view, rejecting the petition by Memorial would have been "completely nonsensical". "Rejecting our appeal on the eve of our conference would have been a flagrant abuse of the law. So we expected that they would agree to our request," said Oleg Orlov. As he explained, part of the Ministry of Justice's objections concerned the NGO's structure. The human rights activists challenged this demand in court, but in vain. Now they have decided to conform with the request and intend to make the required changes to the NGO's statutes at the organisation's conference, to be held on 22nd and 23rd November. "We are obliged to conform with some of the demands, even though we do not agree with them", Oleg Orlov stressed. 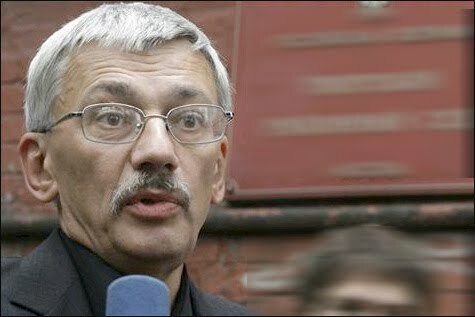 Oleg Orlov called the Ministry of Justice's complaints "unjustified interference in Memorial's internal structure" and characterised it as "pressure". "We work in more than half the regions of Russia according to the Russian Federation's legal norms for NGOs,” Oleg Orlov said. “There is no requirement that our structures need to have these names under the NGO law, under the norms of the Civil Code, under regulations, or anywhere else. It's a petty objection, an arbitrary interpretation of the law on the part of the Ministry of Justice." "This isn't the end yet. We don't know whether the Ministry of Justice will agree that we have met their demands or whether they will continue to insist on shutting down our organisation". Oleg Orlov added that another complaint concerns the reports on the activities of Russian Memorial, and that it is extremely difficult to counter this objection. The Russian Memorial Society submits an annual report to the Ministry of Justice, but in 2012 the Ministry suddenly took the view that the NGO does not engage in any activities. The Ministry of Justice considered that the creation of a database about victims of political repression, the annual commemoration of the ‘Day of Remembrance for the Victims of Political Repressions’ at the Solovetsky Stone in Moscow, and the publication of books to inform people about the history and the work of the regional branches were not part of the work of the headquarters at the Russian Memorial Society. Moreover, while they are busy fulfilling bureaucratic requirements, human rights activists risk having to stop their activities altogether because of the never-ending paper chase. "Officials demand multiple pieces of paper about how volunteers work with us at Memorial. We have to register each volunteer formally and fill out lots of forms. We are asked to spend all our time on an endless paper chase. Spending all our time fulfilling their demands leaves us with no time left to do our work. In any case, we won't get any work done because we will be spending far more resources accounting for every tiny task. The state forces us to do unnecessary paperwork instead of helping us to protect human rights and to restore the truth about history. The Ministry of Justice's petty objections keep us from our actual work", commented Oleg Orlov. He stressed that Memorial is prepared to present the results of its work by way of a report, instead of "a heap of official pieces of paper." "Memorial is part of civil society. Maybe it is one of the most visible NGOs. So this is an attack not only on Memorial, but also on all civil society in Russia. "They've already built a 'managed' democracy. It seems to me that they've now rejected the paradigm of a managed democracy because they don't even need the appearance of democracy any more. "They've 'cleansed' the mass media, they've almost completely 'cleansed' the political party system, and now they are 'cleansing' non-political organisations. They are exerting pressure on several fronts. There's the law about so-called "foreign agents", which is totally repressive. Some NGOs have been brought to the brink of closure due to their supposed non-compliance with tax demands. There is also pressure exerted by 'anti-extremist' legislation. Clearly, this is all being done so that in the future there will be no freedom of thought or freedom of action in Russia. Civil society is a hindrance". "We'll do our work whatever happens. We'll carry on working as we have always worked. If it comes to it we will work in the kitchen, as dissidents did in Soviet times".